the facebook page is up! – https://www.facebook.com/lukemaninovdesigns - I’m using this as a space for launching new pieces and to run a few competitions in the coming months so make sure you like it to stay in the loop. This month I will be presenting a whole bunch of new work at the Provocations Exhibition // October 24th 8:30 pm at Oh Hello! This is always an amazing night, with live bands and broad collection of artists so if you’re in Brisbane definitely consider coming down. You can buy tickets for the show from my profile here – http://www.rawartists.org/lukemaninov - but I’ll be giving out some to friends so if you want to come but strapped for cash just get in touch with me in the next few weeks. 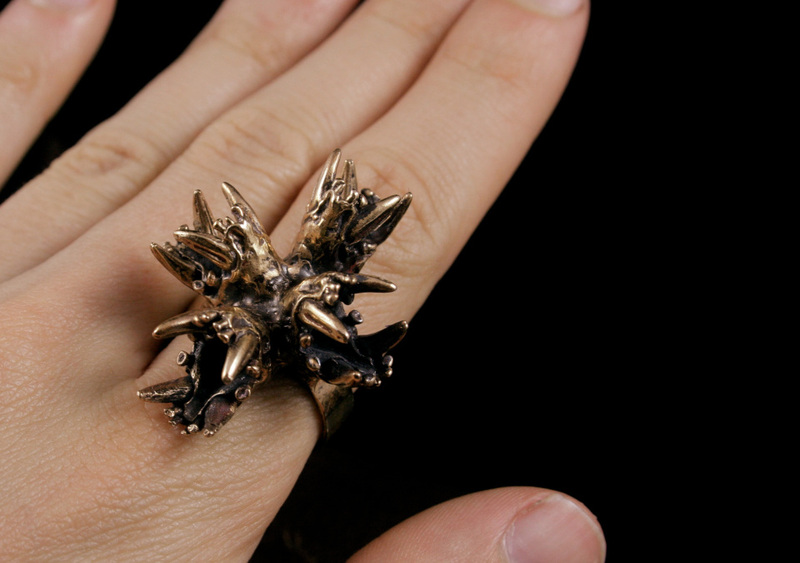 To celebrate my upcoming exhibition and the launch of my facebook page this ring is now available online at my store.